Mitzy is using Smore newsletters to spread the word online. The ability to obtain goods or services before payment, based on the trust that payment will be made in the future: "unlimited credit". The three forms of credit are installment credit, revolving credit,and open credit. Annual fees are applicable. It can be as low as $5 to as high as $100. All credit cards charge interest on unpaid balance but there is a limit to what the bank can charge you. If you pay your rent, and all of the things that you need to pay on time you will get more credit. Time is the key. Companies and banks use that to determine if they want to give you credit or not. Creditworthiness is the reliability that to repay a loan. Credit Score also comes along with credit because it is the amount of credit that you have. Common cards are VISA, Mastercard, Discover,AMEX. They can carry a balance from month to month. A credit is issued by the bank to purchase goods or services on credit. When you get a credit card you are required an annual fee you must pay, it ranges from $15-$100. Credit cards also have interest. You have to pay the entire money by a due date in order to not get any interest on your account, and not have to pay more money than what you are supposed to pay. There is also a credit limit which is the maximum amount of money you can spend using your card. If you go over-limit you will need to pay an extra amount of money. Penalty fees are fees due to late payment and can increase your interest rate. 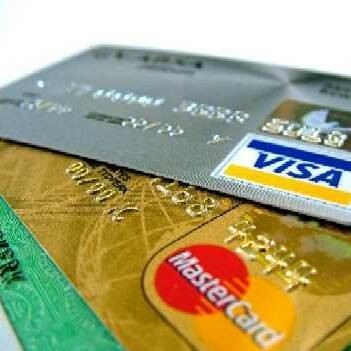 Tips when using credit cards. Understand the terms of the card. Don't go over the limit.